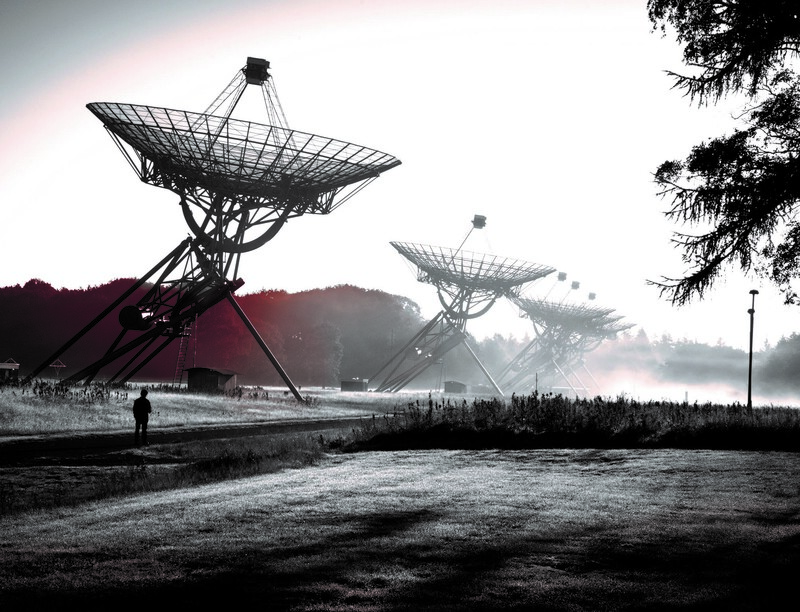 Are you sometimes (secretly) curious about signals from space? Would you like to see the largest low-frequency radio telescope in the world? Then reserve Wednesday, 17 April 2019 for a visit to the rural tranquillity of Dwingeloo. That is when Connect@ASTRON will be held. NWO-I will arrange transport. Everyone within NWO and NWO-I, including the 2000 people who work at the NWO Institutes and NWO-I PhD students, is welcome to attend the Connect meetings. These have been organised by NWO since the end of 2017 so that employees can see what colleagues at other NWO units do. Three times per year we visit an NWO institute where fantastic research is done. In 2018, we visited the NWO Institutes AMOLF and CWI. This year ASTRON, NIOZ and ARCNL will welcome us. At the Netherlands institute for radio astronomy ASTRON, researchers investigate the signals that the universe emits in the form of radio waves. 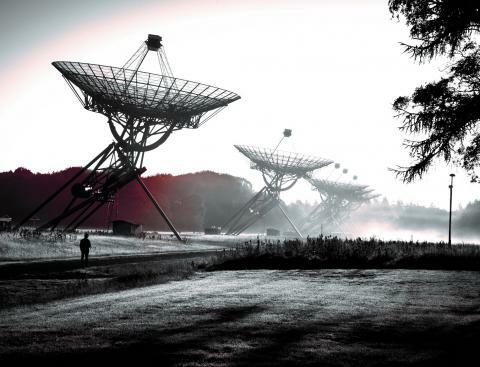 The NWO Institute also designs, constructs and manages radio telescopes that belong to the best in the world. During the Connect meeting at ASTRON, we will visit LOFAR, the highly impressive site of 400 hectares between Exloo and Buinen (Google these places) where the evolution of the first galaxies, black holes and gas clouds during the 'birth' of the universe are visualised. Don't miss this opportunity! See the Dutch version of this agenda item. NWO arranges transport by bus (from Utrecht and The Hague) with possibilities to work in the bus (with toilet facilities and drinks). The maximum number of sixty participants has been reached. However, if you want to be on our spare list, please don't hesitate to sign up by following this link. UBW-employees (PhD's) can subscribe by sending an email to Arian Visser. The NWO Institutes NIOZ on Texel and ARCNL in Amsterdam are also preparing for a Connect meeting in 2019. Save the date: we will visit the national oceanography institute NIOZ on 20 June. And on 26 September we will walk through the brand new building of the research centre for nanolithography ARCNL.